When you need to move larger groups for an event, wedding, corporate outing or party, we have you covered. 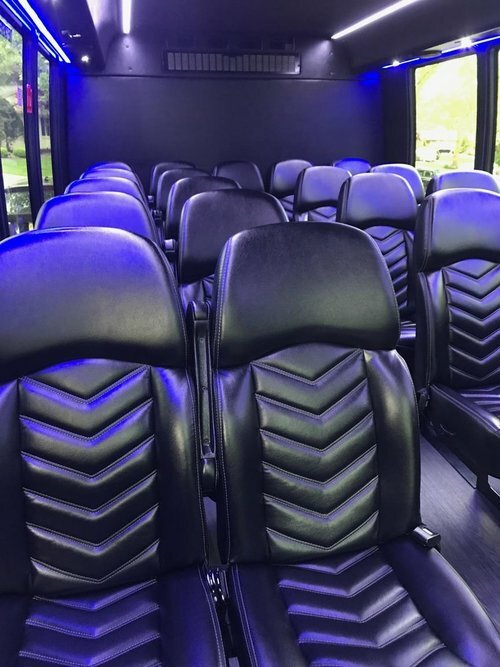 With seating for up to 28 and even 40 passengers, our luxury executive shuttles are outfitted with sumptuous black leather seating and beautiful hardwood flooring. The perfect vehicle for corporate events, weddings or even wine tours. Have an event coming up that you'd like to get a quote for? Simply click the Get A Quote button below and fill out our short intake form. A dedicated event specialist will reach out to you shortly after to clarify your submission and quote you on our Executive Shuttle Services! Please describe in short detail what you need below. Thank you! An event coordinator will reach out to you shortly to discuss pricing and availability of our executive shuttle!